European corn borers used to be a serious pest of peppers. The larvae would burrow into the fruit under the cap, making it difficult to cull out infested fruit. With the widespread adoption of Bt corn by agronomic farmers, populations of corn borers have been greatly reduced. However, it appears that in the last couple of years, corn borers have been making a comeback, so management of this pest is still recommended. 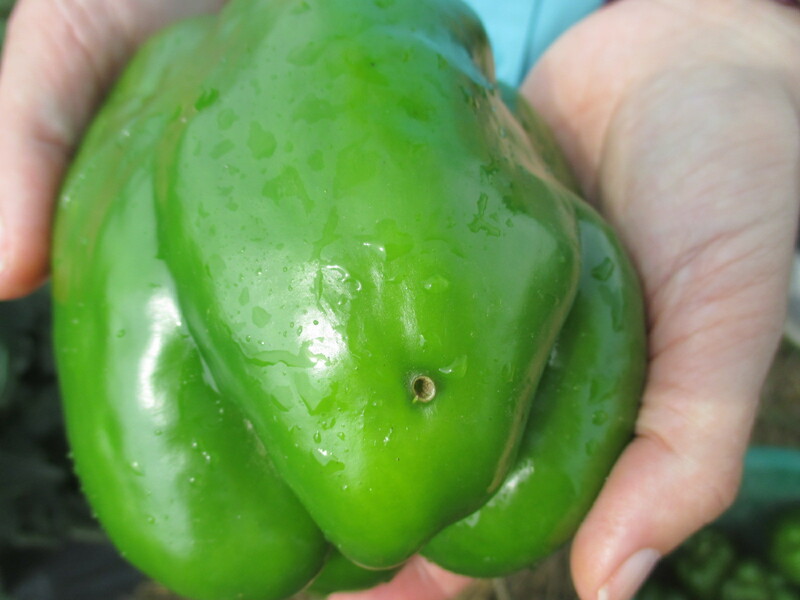 Corn earworms can also attack pepper fruit. They usually tunnel into the side of the fruit, making it easier to cull out infested fruit. Sometimes when fruit have been treated with insecticides, the larvae will die before they enter the fruit, leaving behind a feeding scar that will render the fruit unusable for fresh market sales. Corn borers can be controlled with Ambush®, Avaunt®, Bt®, Baythroid®, Brigade®, Coragen®, Entrust®, Exirel®, Intrepid®, Lannate®, Mustang Maxx®, Permethrin®, Radiant®, and Warrior®. Because of concerns about resistance, the pyrethroid insecticides are unlikely to be effective against corn earworm.